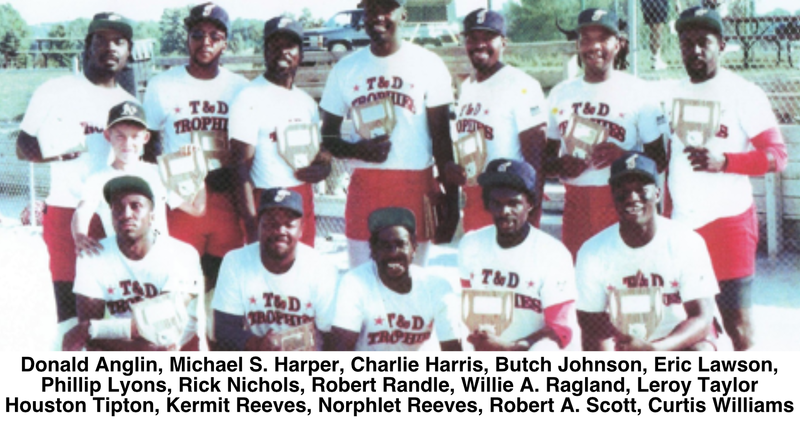 T&D Trophies was undefeated in state tournament play with a record of 5-0, winning the Michigan Parks & Recreation Association 1991 Championship in softball. T&D Trophies represented Flint well in the State Tournament, with Curtis Williams being named MVP of the Tournament. For their talent and outstanding play, the State Champion T&D Trophies are being inducted into the Greater Flint African American Hall of Fame’s Class of 2015.